Generous former students of a north-east university have given more than £15,000 to good causes. 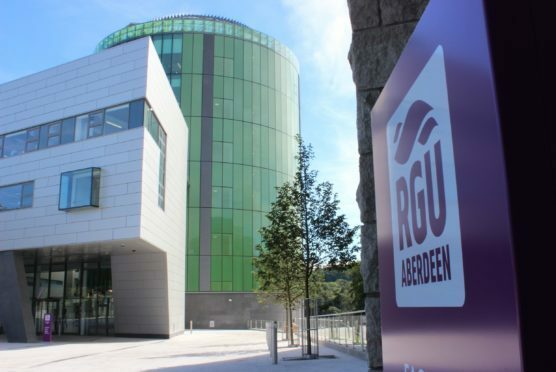 The beneficiaries – which include student scholarships, welfare services and the arts – have been supported by the Robert Gordon University (RGU) Foundation to a total of £15,200. One of the projects to benefit from funding is The Duke of Edinburgh Award scheme. Kyle Henderson, RGU student president and Duke of Edinburgh Award scheme coordinator, said: “We are grateful to the RGU Foundation for providing the student group with funding. “Without it we would not be able to pay our licence fee and we would be unable to provide the Duke of Edinburgh Award. Professor John Harper, principal and vice-chancellor of RGU, said: “Since its beginning, RGU has been shaped by the generosity of our alumni and philanthropists.